Are you embarrassed to wear open toed footwear due to your unsightly toenails? You probably suffer from nail fungus, a very common infection that is medically referred to as onychomycosis. The infection is caused by a group of fungi referred to as dermatophytes, which live by eating the outer layers of dead skin and nails. Most of us acquire these organisms while going barefoot in moist, wet environments such as the communal showers at gyms and swimming pools. The most common symptom of the infection is discoloration, typically a white or yellow spot beneath your toenail or fingernail. Additionally, nails may become brittle, thickened, distorted, and crumbly. Why Laser Treatment for Nail Fungus? Most people want to know how to get rid of toenail fungus. Historically, toenail fungus treatment with topical and oral agents has had very low success rates. Even more, oral medications for toenail fungus treatment can have adverse effects and multiple drug interactions. As a result, there has been tremendous interest in laser treatment for toenail fungus. Laser nail treatment represents a new and innovative technique that is safe and effective. How Does the YAG Laser Treat Nail Fungus? The YAG laser is one of the most advanced and powerful lasers available today and can be utilized in toenail fungus treatment. The nail laser emits a wavelength of light energy that is specific for dermatophytes. The laser light energy is absorbed by the fungi in the treatment area, producing heat that destroys the causative organism without harming the adjacent normal nail tissue. What Can a Patient Expect During the Procedure? Laser treatment for toenail fungus does not require any type of anesthesia. The affected area(s) of the nail are exposed to the light energy of the YAG laser. Many patients describe a “hot pinch” followed by a warm sensation that is fleeting. The procedure is typically completed in less than 20 minutes. There have been no clinical reports of side effects or long-term complications associated with the use of the YAG laser. In addition, there is absolutely no pain or downtime associated with laser nail treatment, and you can return to your activities immediately after your appointment. On average, you may need 3 to 4 treatment sessions spread over several weeks. Unfortunately, since nail fungus is considered a purely cosmetic disease, laser treatment for toenail fungus is not covered by any of the major medical insurance companies. Additionally, there are no health or age restrictions for laser nail treatment. There have been reports of clearance rates higher than 80% using lasers. The results of toenail fungus treatment with lasers are not immediately noticeable. 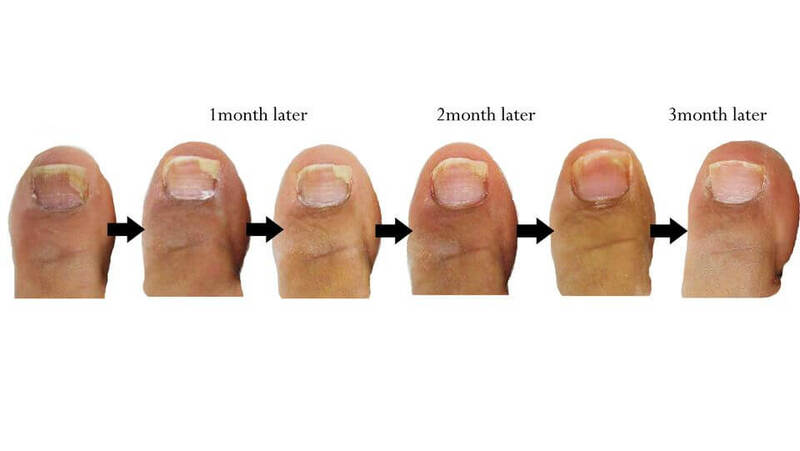 On average, a toenail will replace itself every 6 to 9 months, and healthy new nail growth is evident within the first 3 months after the procedure. Contact Precision MD today to schedule a free consultation to see if you are a candidate for toenail fungus treatment with the YAG laser.